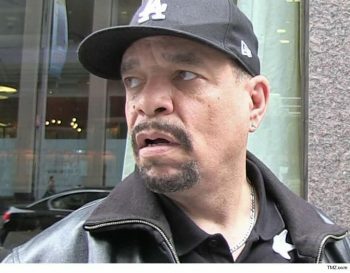 PAPBA News - Page 4 of 24 - Port Authority Police Benevolent Association Inc.
Ice-T blew through a bridge toll heading into New York City, and cops busted him for it … TMZ has learned. Law enforcement sources tell TMZ … Ice was arrested by Port Authority police Wednesday morning for toll evasion as he was approaching the George Washington Bridge on the New Jersey side. We’re told he tried crossing in the E-ZPass lane … for drivers who prepay tolls with a transmitter, but Ice’s didn’t work. 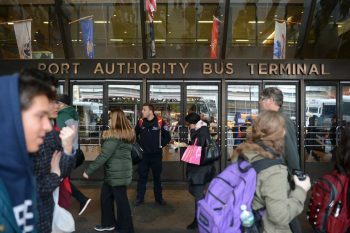 Two Port Authority cops saved a distraught woman just as she was about to leap off the Port Authority Bus Terminal Friday, law enforcement sources said. The 40-year-old woman was seen on the fifth-floor ledge of the building at the corner of Eighth Ave. and 41st St. at abut 10:40 a.m. and was just about to jump when Port Authority Police Officers Antonio Casaccio and Michael Opromalla grabbed her and brought her back to the other side, a source with knowledge of the incident said. 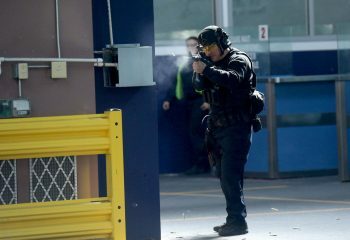 A terminal at the Cape Liberty Cruise Port in Bayonne NJ turned into a war zone Wednesday as the Port Authority Police Department’s elite Counterterrorism and Emergency Services units drilled down to the basics of any engagement — stop the threat and tend the wounded. Officers sporting full tactical gear and assault weapons ran through a number of grueling scenarios on how to best respond to active shooters, threats in office buildings and hostage situations. 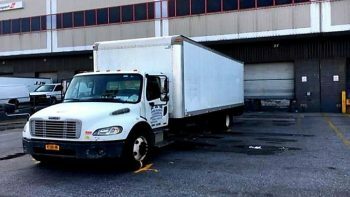 A man was killed at Kennedy Airport when a comercial truck backed over him Monday evening, authorities say. It happened at 8 p.m. at Building 151 on JFK Airport grounds, the Port Authority Police Department says. The man was taken to Jamaica Hospital, where he died, officials said. He has not been identified.